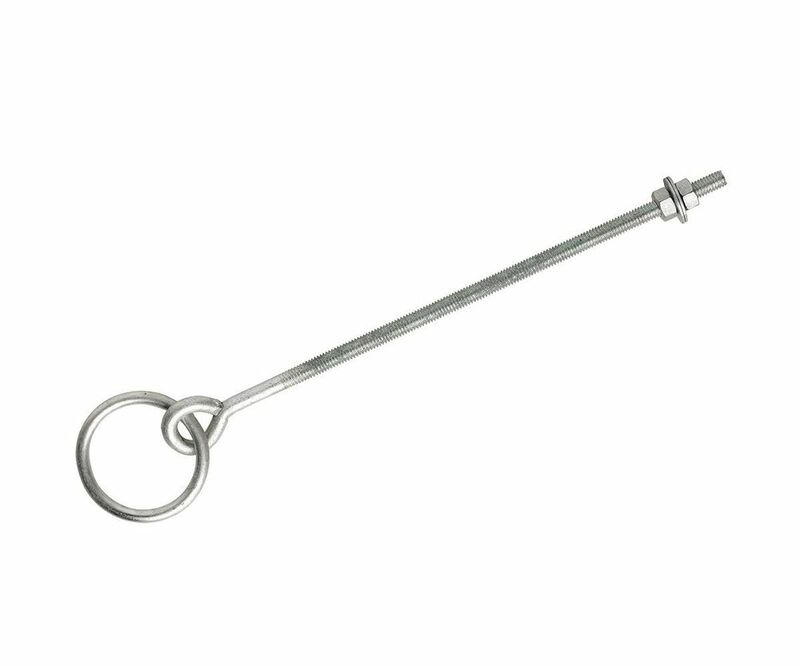 Allowing for the easy restraint of livestock and pets, this manger ring meets the exacting criteria that Absolute Hardware uses in the selection of our products. Made from only the finest materials, it is strong, robust and perfectly suited to its intended purpose. Plated in zinc, the manger ring comes with two hexagonal nuts and two round washers, each component being of equal quality. Moderately weather resistant, we recommend it for use in outbuildings or sheltered external areas, where it can be simply and permanently screwed into timber or brickwork in order to restrain farm or domestic animals. Durable enough to withstand plenty of pulling from those tied to it, it is nonetheless competitively priced, so that it offers economy and excellence combined. Long-lasting, durable, and offering an easy restraining mechanism, you should add one to your basket now to try it for yourself, or buy in bulk to make a significant saving.